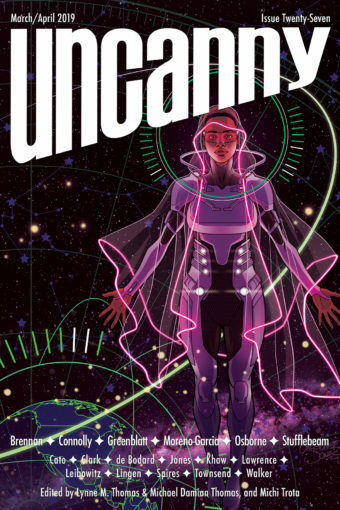 Uncanny Magazine Issue 21 Cover and Table of Contents! Four Uncanny Magazine Stories are Nebula Award Finalists! Uncanny Magazine 2017 Favorite Fiction Reader Poll Results! Eight Uncanny Stories Are on the 2017 Locus Recommended Reading List and Locus Award Poll! Uncanny Celebrates Reader Favorites of 2017! Uncanny Magazine Dinosaur Special Issue Guidelines!